May 20, 2012 Elizabeth Ashworth2 Comments on St Leonard’s church at Old Langho, built from the stones of Whalley Abbey. 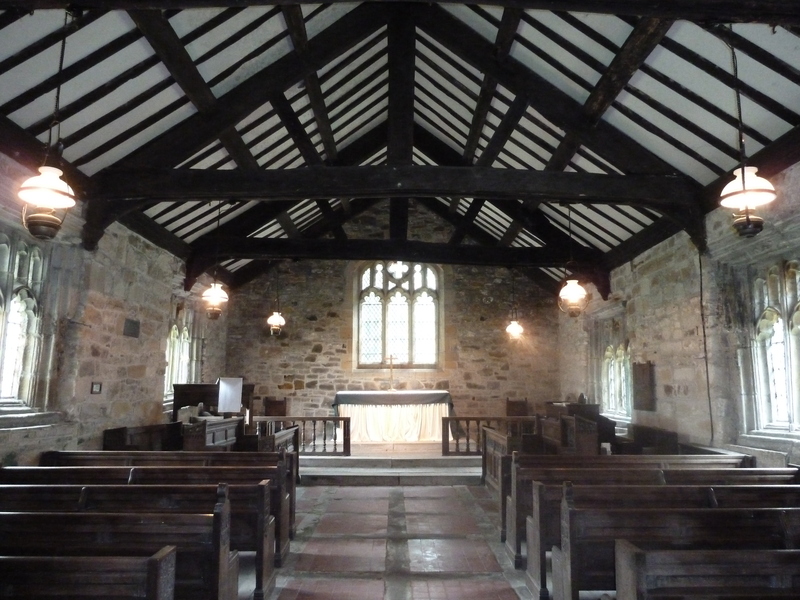 St Leonard’s church at Old Langho, built from the stones of Whalley Abbey. Visitors to the ruins of the abbey at Whalley may wonder what happened to all the stones and windows and medieval glass that formed the magnificent church and other buildings that once stood here. 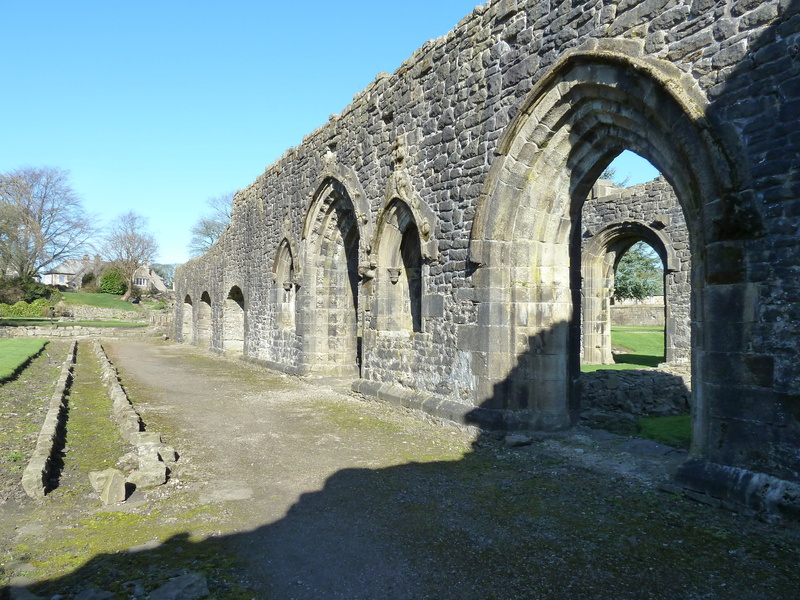 restored the Roman Catholic faith after the break from Rome by her father Henry VIII whose Reformation resulted in abbeys, like the one at Whalley, being left to fall into ruins. Built as a Roman Catholic church, St Leonard’s was constructed with materials brought the three miles from the abbey site. The high quality stonework includes carvings, windows, plinths, a piscina and a credence. The main roof timbers also came from the abbey. 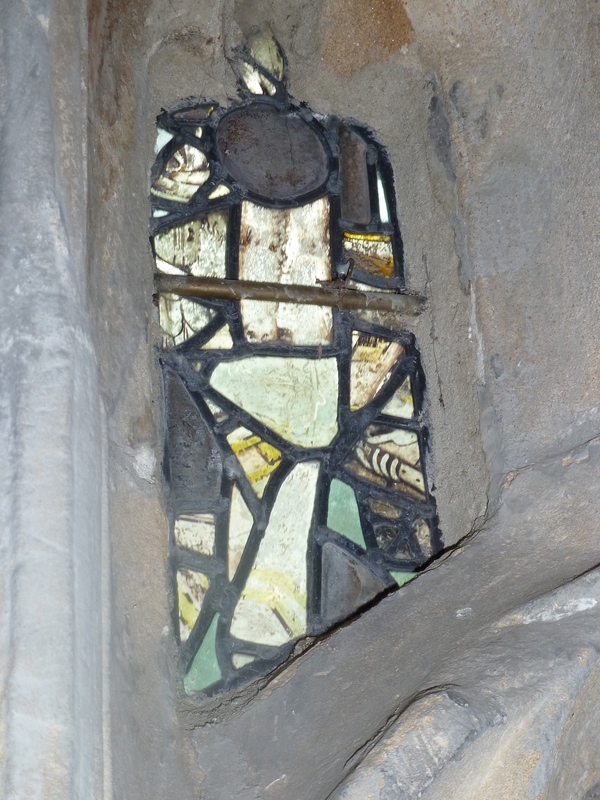 The fragments of medieval glass in the windows of the chancel were also probably retrieved from the abbey. 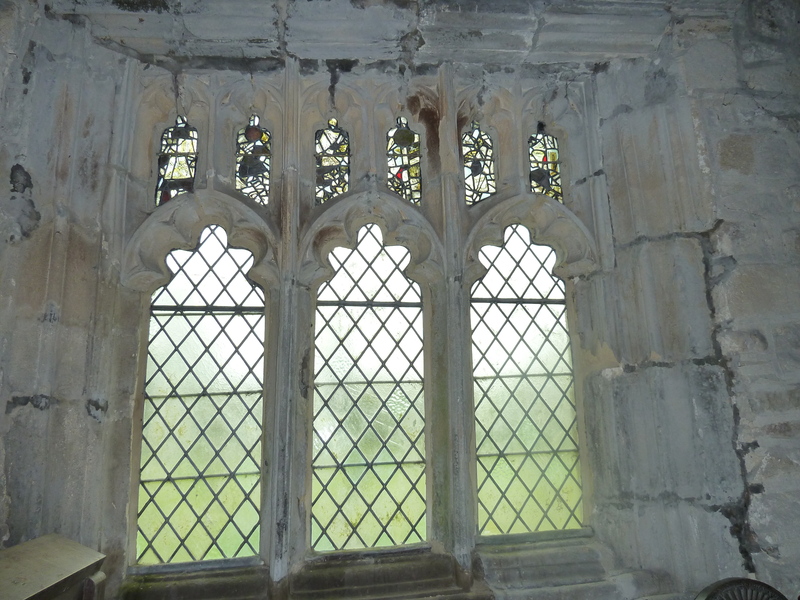 They appear to have once been parts of a larger image, with tantalising glimpses of hands, robes and foliage that must once have graced the abbey church of St Mary. 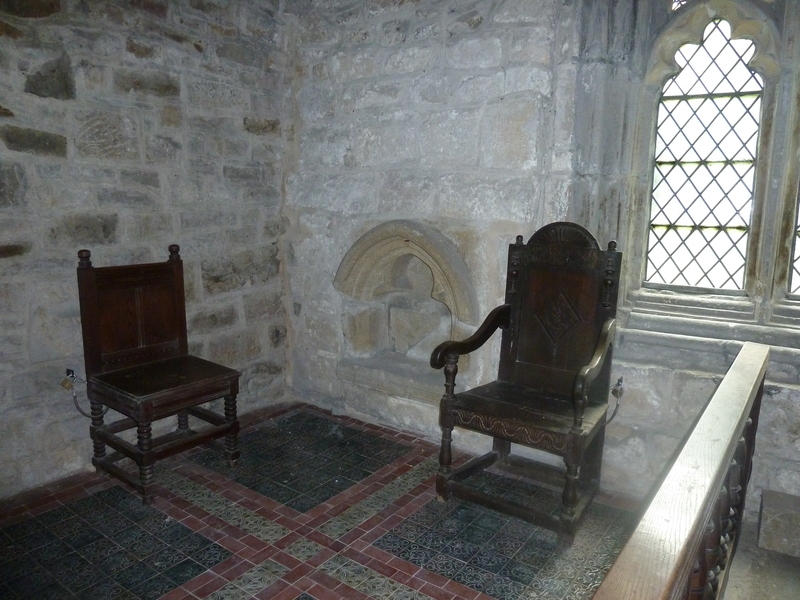 Also in the chancel is a piscina, flanked by two very old oak chairs which were chained to the wall for safety. 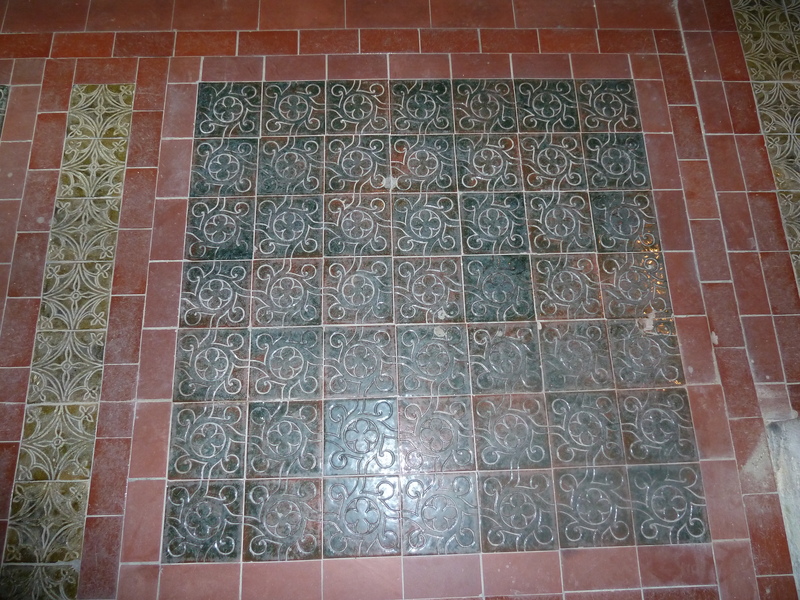 There were also some lovely tiles on the floor, although I don’t know whether these were brought from the abbey. 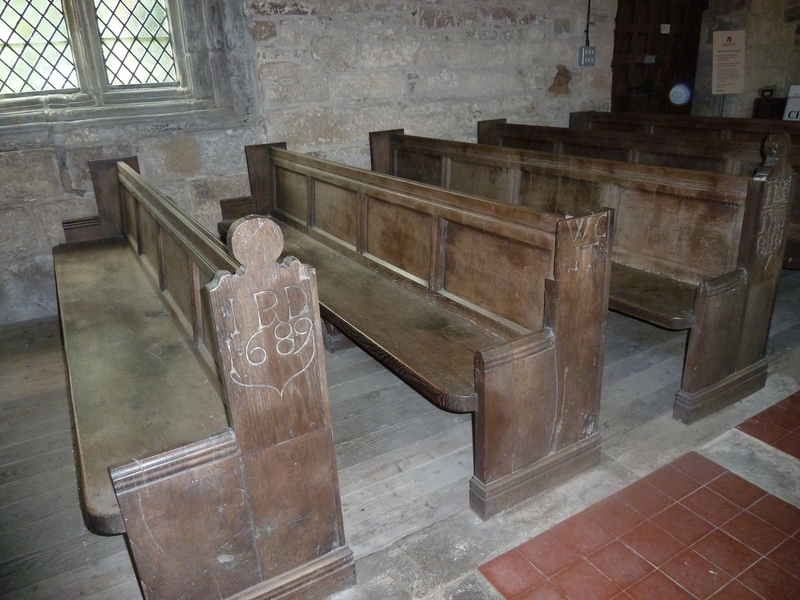 The ends of the benches are 17th century and many are carved with initials and dates. 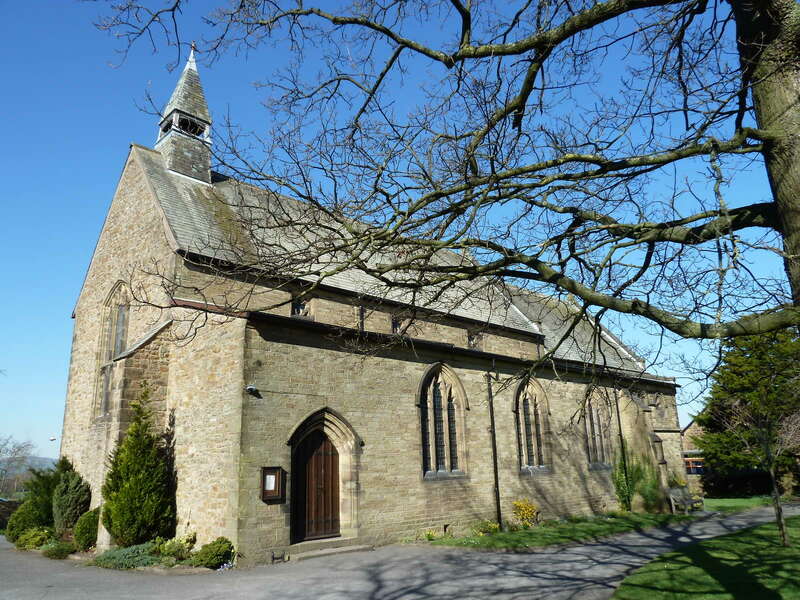 St Leonard’s church is in the care of The Churches Conservation Trust, a national charity which saves historic churches at risk. If it is locked the key is available from the adjacent Black Bull pub. It’s at Old Langho, which is where the original village of Langho was located until it drifted to its present position near the railway in Victorian times. Old Langho is down country lanes off the A59 and is about half way between Whalley and Ribchester. 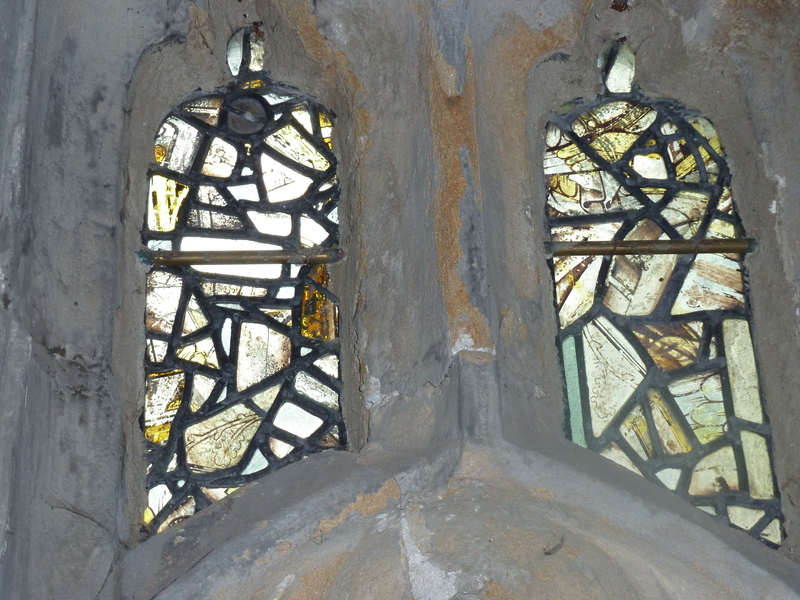 Oh, I do love your posts o historic buildings – but where is this?